Umpteenth re-read. I love this book. Nell is one of Heyers older, sensible heroines, John is steady as a rock but very nosy and delighted to stumble across mysterious and sinister goings on. 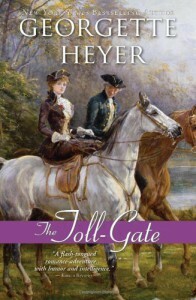 Heyer is in top-form here, there are a host of memorable secondary characters, and the language is simply wonderful.